Strategic enrollment planning for community colleges is crucial in today’s higher education environment. A solid strategic enrollment planning process can help community colleges address changes in academic demands, employment needs, and student diversity. However, strategic enrollment planning does change for different institution types. 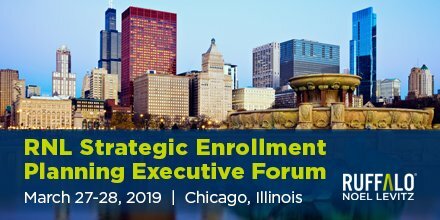 In this post, I address key topics and strategies for strategic enrollment planning for community colleges, topics my colleagues at RNL and I will be addressing these topics in depth at our forthcoming Strategic Enrollment Planning Executive Forum. The foundation of a good strategic enrollment plan is a good process. The key is to bring the right people to the table, provide them with access to institutional and external data, foster collaboration across the institution, embrace transparency, and roll up your sleeves and get to work. Know at the outset that the goal is not to do everything, but to identify those few strategies that the data say have the greatest potential to improve institutional performance, and that will mobilize the campus community to action. It sounds simple, but it requires strong leadership. 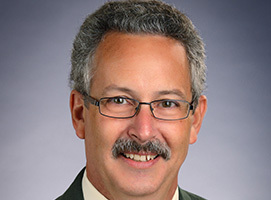 For community colleges, that often means intentionally planning for a broader scope, one that involves key community partners and complementary service providers. Institutional mission lies at the center of the strategic enrollment planning process, but effective strategic enrollment plans must link academic and fiscal planning with recruitment and retention planning. Your marketing and recruitment efforts are designed to bring students to your institutions to study in your academic programs. Your retention efforts are designed to foster student success so that students will remain enrolled in your programs and then complete them. The entire financial enterprise, from facilities planning to financial aid disbursement, is designed to help students enroll, to provide quality programs, and to pay the bills. If enrollment planning is just about getting students and keeping them, then it is not likely very strategic. Strategic enrollment planning will not magically remove organizational silos. But it will lessen their effects on organizational collaboration because individuals from across the institution will come together to identify challenges and opportunities, and to develop plans that will strengthen the enrollment and the fiscal foundation of the institution. RNL is also committed to helping our community college partners plan for sustainable futures, so we pay as much attention to institutional expenses and what we can stop doing as much as to enrollment and revenue streams. Constructing an organizational structure is one of the first steps of any strategic enrollment planning process. The leadership group should include key campus experts—from enrollment, academic affairs, and finance—but should not necessarily be representative of all divisions or it will get too large and less effective. A structure with a coordinating group supported by working groups with particular focus areas (marketing and recruitment, finance and financial aid, credit-granting academic programs, non-credit programs, and student success) will expand the number of participants and allow for representation when the organizational structure moves to the second, working group level. Key Performance Indicators should be determined early in the process. Ultimately the strategic enrollment plan is successful if the metrics you identified as important at the outset move in the desired direction through the implementation period of the plan. But a good planning process should have organizational and cultural benefits beyond just moving the metrics. Because of their access missions, community colleges will always run programs to serve the community that will likely never break even from a financial standpoint. An inclusive, transparent planning process should engage the campus community and raise awareness of how enrollment influences institutional health and success, while maintaining a commitment to finding ways to balance revenue-generating programs with mission-centric programs that will run at a deficit. It may also break down silos, provide a common campus vocabulary, and change the ways institutions use data in decision making. Campus culture and climate changes may be harder to measure, but should be an important aim of the strategic enrollment planning process. Using data to guide decision making is crucial to the strategic enrollment planning process, but it’s also important to make data-informed decisions rather than data-driven decisions. Why the distinction? Community colleges are complex organizations, and focusing only on the data can lead to overlooking important cultural and human elements that should be considered in the decision-making process. That said, we are committed to using data to the best of our abilities to inform decisions. How to do that? First, you need to have data you can trust: what does your environmental scan tell you about what’s happening in the demographic, workforce, and educational markets around you? What do your internal data tell you about your institution’s performance? How does your performance compare to local, regional, or national benchmarks? When making enrollment strategy decisions, the key is to understand the data first, to look for its messages to help inform your strategy considerations. For example, if you serve a rural market, have a stable population base, but are seeing enrollment declines, the data may be pointing you to an online program development strategy. If your retention data show that a particular population is under-performing compared to the norm, you will have identified a population that is at risk. You will need to look more deeply at your data to strive to understand the causes of that performance gap before you jump to strategy development. Similarly, you might discover that a program development strategy will be fairly costly to implement, but the market demand research shows weak enrollment potential. Don’t think of the planning work as wasted effort if you don’t launch the program: to the contrary, your work to collect data and build projections may save your institution from investing in a program that will not cover the costs to deliver. On one end of the planning process, there is the risk of trying to do too many things simultaneously—known as “excessive activity syndrome.” There is also a risk on the opposite end of the planning spectrum, playing it too safe with low-risk, low-reward initiatives because you think you can do them with the people and tools you already have. RNL’s strategic enrollment planning process leverages the data-informed approach I described above to shift the focus from the tails of the normal distribution to the student populations under the meat of the curve. How many students do we have to recruit or retain for an initiative to be considered strategic? How much net revenue do we need to generate? Obviously the answers to those questions will be different for each institution, but exploring those questions during the planning process is essential to identifying truly strategic initiatives. Learn more about the agenda and facilitators for the Strategic Enrollment Planning Executive Forum. These strategies are just the start for community colleges looking to engage in effective strategic enrollment planning. During the RNL forum, we’ll dig deeper and guide you through the process, balancing instruction on best practices with focused time to apply lessons to preparing for strategic enrollment planning on your campus. If you can, bring a team and use the forum as a strategic enrollment planning retreat. Past participants who have taken this approach have found themselves re-energized, organized, and prepared to make positive enrollment change happen on their campuses as soon as they return. Join us in Chicago, March 27-28, to see how to navigate your campus through the academic, demographic, and economic challenges ahead. Learn more and register now. And if you have any questions about strategic enrollment planning for community colleges, please email me. Reach Lewis by e-mail at Lewis.Sanborne@RuffaloNL.com.